Lutsen, MN – Construction of Lutsen Mountains’ new gondola is on schedule for completion in time for this ski and ride season. A twin-engine Sikorsky helicopter soared over the Minnesota skies along the North Shore of Lake Superior in mid-September, ferrying 11 of the new lift’s 15 four-ton towers into place on Moose Mountain. 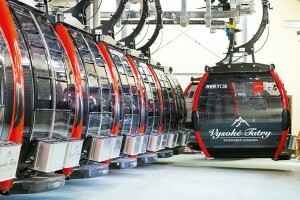 Construction crews broke ground on the new $7 million gondola lift, built by Doppelmayr USA of Salt Lake City, Utah, back on June 23. It’s the centerpiece of a $30 million expansion at Lutsen announced last December by resort co-owner Charles Skinner who hopes to double the resort’s skiable acreage, if his plans are approved by officials with the Superior National Forest. The new gondola replaces an older four-passenger model purchased from Loon Mountain, N.H., and installed on Lutsen’s Moose Mountain in 1989. Rider capacity will increase from 300 to 2,400 per hour this winter with the new lift. Once crews finish construction of the lift’s drive terminal later this month, they’ll hang and splice the cable and commence load testing. The project is scheduled for completion by November 15, joining a new high-speed six-pack installed on Moose Mountain in 2013. Lutsen’s old gondola will continue to operate for leaf peepers through October 18. Ski history buffs will be able to purchase the old cabins for an estimated $500 to $1,000 each in an online auction to be announced later this fall, with a portion of the sales proceeds donated to charity. 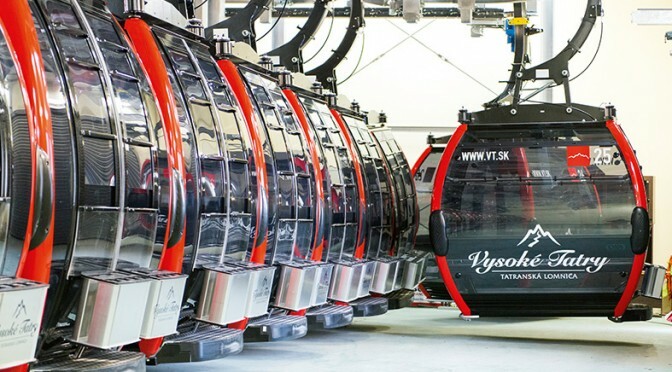 In addition to the new gondola, Lutsen will be encouraging sustainable travel to the resort this winter with the addition of four electric vehicle chargers on site, two for Tesla vehicles and two for other models. Unfortunately the last paragraph regarding the addition of 4 electric vehicle chargers is incorrect. Lutsen Mountains is not currently offering, nor is it immediately planning to offer these. Melissa Dressely, Lutsen Mountains Senior Manager.